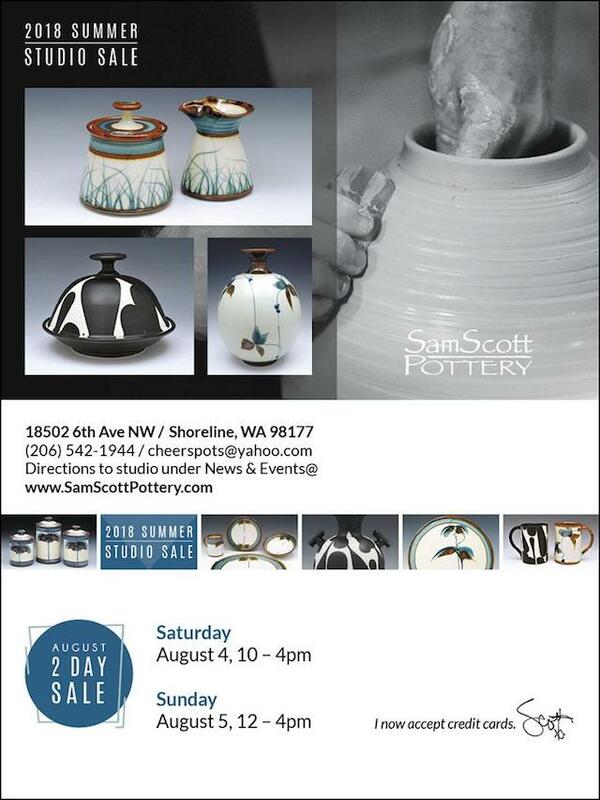 Shoreline ceramic artist, Sam Scott, will be opening his studio this weekend, Saturday August 4, 10-4 pm and Sunday August 5, 12-4 pm. There will be large selection of wheel-thrown functional and non-functional porcelain objects. The address is: 18502 6th Ave NW Shoreline 98177. Contact Sam at cheerspots@yahoo.com or 206-542-1944.